I am excited to say I am now officially a recognised author. 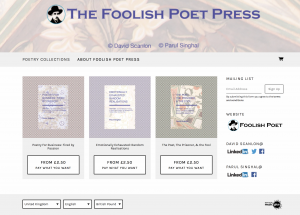 The Foolish Poet Press Shop is now Launched, with profits working to support good causes. My 2017 Christmas poem is released. Above all today highlighted again how friendship is the glue that binds us all. Yesterday was an exciting day for many reasons. Firstly, I received my welcome pack from the Society of Authors ,a full recognition of my poetry collections published over the last year or so – a culmination of 20 years of writing poems for friends and family: many of whom have encouraged me to publish my poetry. With three collections written and two more on the way I feel proud and thankful for all the encouragement provided by friends. On the same day I sent out my 2017 Christmas poem to friends and family; a continuation of a 20 year tradition which started in a fumbling way with a few friends – the courageous first step of a poet sharing writing to understand ‘it’s’ full meaning. This years poem is inspired by multifaceted love, with particular focus on my inspiration Clare, with a small connection to an amazing quote from Albert Camus – which I cannot use as the owner of the rights would not allow permission for free use. If interested I can share or it can be found on page 236 – A. Camus (1970) Selected Essays and Notebooks, Edited and translated by P. Thody. Peregrine Book: Middlesex. “Lawful behaviour is a lot more time consuming that reckless disregard” quote from another kind owner of rights for, who kindly provided permissions to use another quote in my new collection. Have you noticed how many people are illegally using other peoples property without permission: once a publisher you soon notice! My next collection is also delayed as I await ‘permissions’ from a number of large publishing houses. I am also launching the Foolish Poet Press Shop, using an amazing technology from ‘Music Glue‘ which allows artists creating digital content to retain 90% of income from sales, unlike Amazon and Apple who take a much greater share. The books are also available on Amazon (Kindle) and Apple (iBooks), where less than 50% goes to author. Clearly the two tech giants are taking the income for small artists to leverage the global reach, which seems reasonable but also means less money for good causes. The new shop was set up so that any sales will benefit more good causes, not Apple and Amazon who seem to have more than enough income. 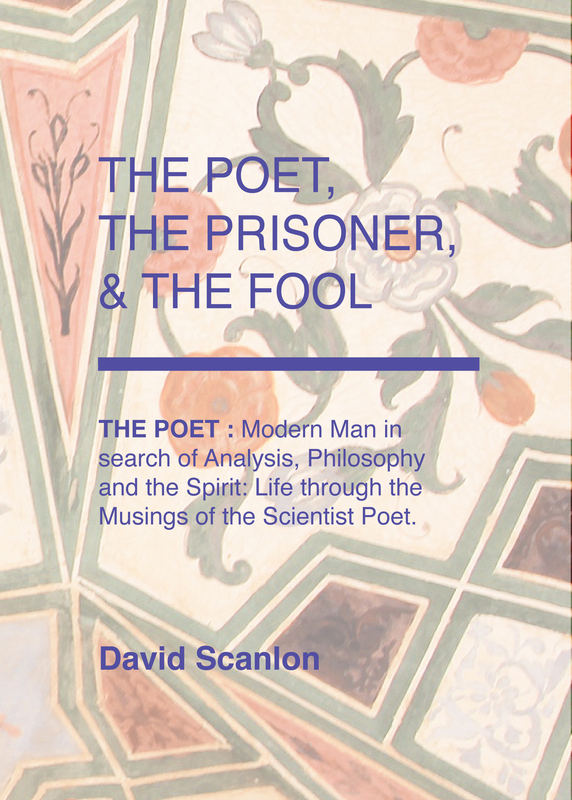 My next collection, to be published in new year, was described by the Bursar Wadham College, Oxford (Former home of renowned and amazing poetry critic Maurice (C.M.) Bowra) as “Quite a labour of love, an impressive collection. Very moving.” I am looking forward to release as the collection was conceived as a journey through 2017 in poetry, a momentous year personally. Too friendship. Clare often wonders why I write when poets make no money, yesterday confirmed again why I do. Four months ago I met an old friend, who had retired a number of years ago: I invited him to my leaving party, which he kindly attended. We had a strong friendship through work and shared bereavements, where he inspired me to write a poem when he lost his mother: a poem he found cathartic, caring and helpful. A poem which means o lot to me too. As a close friend he was a recipient of a limited edition copy of my first collection, along with other friends and family by way of thanks for everything they have done to help me grow over the years. Yesterday I received a package in the mail, alongside the brown manilla envelope holding the society of authors welcome pack. The letter was recorded delivery and difficult to open. Lot’s of fantasies about what it was began to race through my head, at one point thinking it was someone returning the book I had mailed them or a package from another friend who I was expecting something from! Having struggled with the package I finally managed to open it I see the contents, a hand written letter and a book. I devoured the letter and memories flooded as I read “Amongst my mother’s books I found the enclosed which I thought you would like. It reminded me of The Poet, the prisoner & the fool, which I enjoyed, I remembered that yours was a signed limited edition.” I turned to the most amazing book Chesterton G.K (1929) Ubi Ecclesia: Faber & Faber – a signed limited edition copy! Friendship holds value than money can ever buy: when was the last time you did something kind for a friend or thanked them for helping you in any way in your life? The other thing I learned was that e-mail is not the same as receiving written letters and packages – I think I am going to go back to an old technology – which slows life down to a pace that surprises. 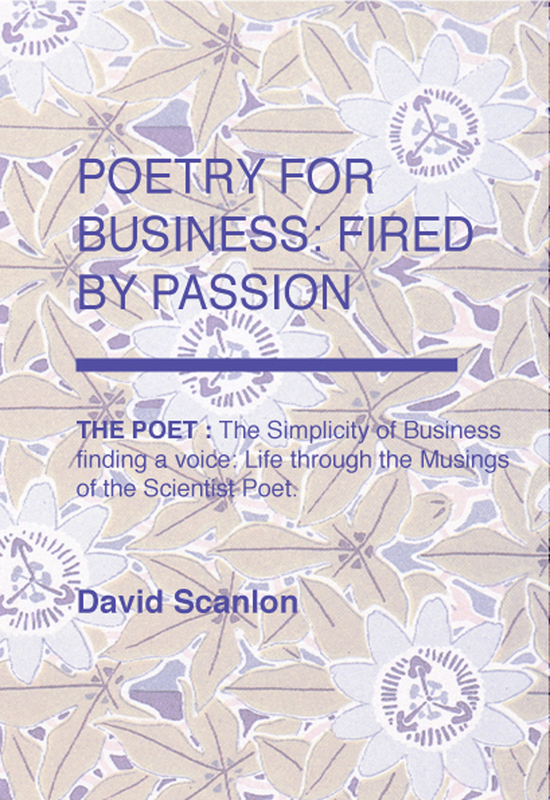 This entry was posted in David Scanlon, Prose. Bookmark the permalink.